Scent: Floral. similar to Geranium (Pelargonium graveolens) with a slightly detectable hint of rose. Benefits, Indications: Rose geranium oil has a balancing effect on the nervous system and relieves depression and anxiety, while lifting the spirits and making the world an easier place to live in. It has a balancing effect on the adrenal cortex and is great for relieving stress. Its hemostatic nature helps the body systems to balance themselves and since the adrenal cortex is stimulated and balanced, the hormonal system of the body is also corrected and aligned. On the lymphatic system it has a greatly stimulating effect and with that helps with detoxifying the body and also affects female health in treating PMS as well as balancing vaginal secretion and heavy periods. It has a general diuretic effect on the body and balances the water systems in the body, correcting any poor elimination of water and waste material. It is useful for treating jaundice, gall stones and can also be used for restraining nose bleeds and other hemorrhaging. On the skin, rose geranium oil helps to balance the secretion of sebum and clears sluggish and oily skins, while the antiseptic and cicatrisant properties make this oil an effective aid to help with burns, wounds, ulcers and other skin problems. 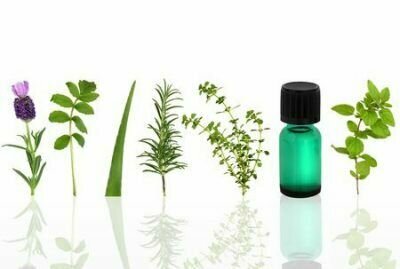 Precautions: Geranium oil is not indicated to cause any side effects, since it is nontoxic, non-irritant and generally non-sensitizing, yet can cause sensitivity in some people. Due to the fact that it balances the hormonal system, it might not be a good idea to use in pregnancy. In vitro and in vivo evaluations of Pelargonium roseum essential oil activity against Trichomonas gallinae.